The end is near, only about 900 pages away now... 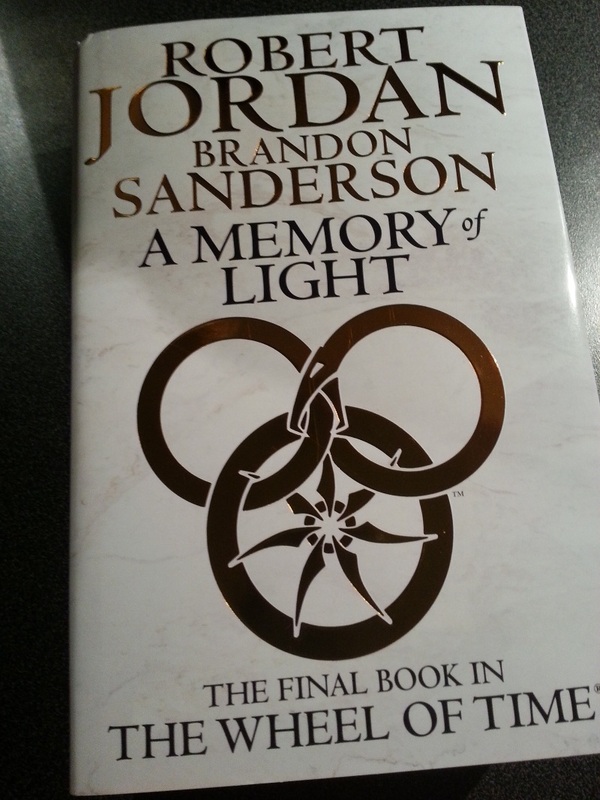 The last and final book of Wheel of Time, a fantastic story started by the late Robert Jordan and now finished by Brandon Sanderson. I got it few days ago but haven't started reading yet. While waiting I've read through most of Brandon Sandersons books and I was halfway through Warbreaker when the book arrived and I wanted to finish it first. Before that I read through the Mistborn Trilogy, The Alloy of Law, The Way of Kings, Legion and The Emperor's soul. 12 years after I started reading the first Wheel of Time book I will now read the final volume. To bad Robert Jordan isn't here with us to see the completion of his masterpiece. The is the sixth tutorial for External Keyboard Helper. You'll find a all the tutorials here. This tutorials is only interesting for Samsung users. I'm going to use my Galaxy S3 as an example but the problem is present with most (if not all) Samsung firmwares. Just a little information popup, how could that be a problem? 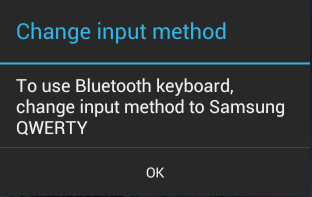 Well, once you press OK on the dialog it will change your Input Method to "Samsung Keyboard" so it's just not informing you what it thinks you should use, it also makes you use it whether you want it or not. Now let's say I connect my Bluetooth keyboard and since I'm using External Keyboard Helper it will show the Input Method selector. 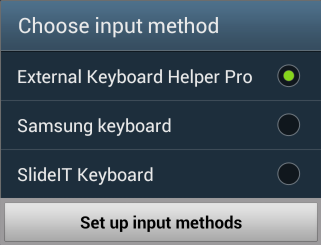 However first Samsung will show their dialog and then the Input Method selector puts itself on top of it. So I first select External Keyboard Helper and then I get back to the Samsung dialog and press OK. What happens now is that the Input Method will be switched to "Samsung Keyboard" which is not what I wanted. Not good! I do not think there is a way to prevent the Samsung dialog from starting unless you are rooted and willing to mess around on your system partition. Still there is a workaround, it's not perfect but it's better than nothing. What we need to do is to increase the Detection delay in the Advanced settings for External Keyboard Helper. In this example I set it to 4 seconds but most people will probably settle for 2 seconds after getting used to the procedure. Now we bought us 4 seconds where we can press OK in the Samsung dialog before External Keyboard Helper brings up the Input Method selector. 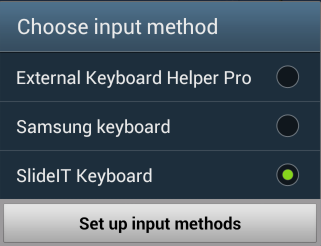 What we do is that we let Samsung first set the Input Method to their own one and then we switch it back to External Keyboard Helper. So by setting up a delay we can make sure that Samsungs switch takes place before our switch and not the other way around.